Do you like tequila? 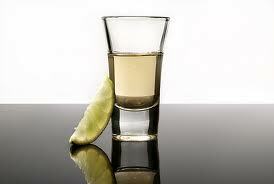 And would you like to go to the Ohio Tequila Festival on May 1 for free? Yeah...me, too. But lucky for you, I won a pair of free general admission tickets and won't be able to use them because I'm going to be out of town for work. General admission tickets include tequila samplings, free food, and live entertainment. (I have no idea if there will be vegetarian food, sorry) If you'd like to learn more about the awesomeness of tequila, there will be classes at the event. Each class is $5. Comment on this post by Saturday, April 28 at 12:01 am for your chance to win. Note that you need to be 21 to attend the event and that you'll need to log onto the event's web site by 4/30 to claim your tickets. Good luck, and if you go, have a tequila shot for me!